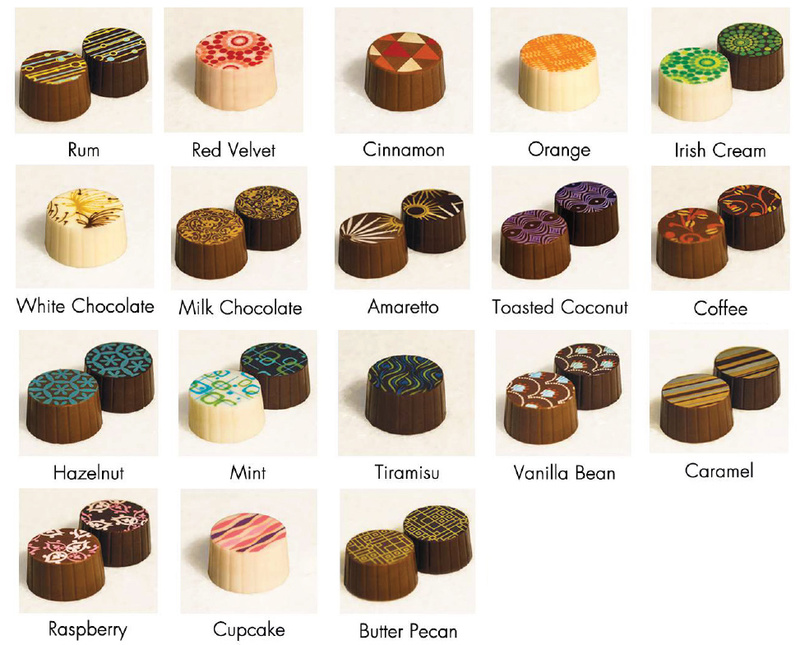 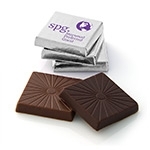 Centerpiece Size: 3.5" x 2" x 0.25"
These brand new chocolate sets feature three decadent chocolate truffles of your choice and a business card sized custom chocolate bar. 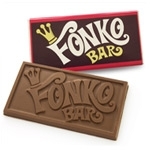 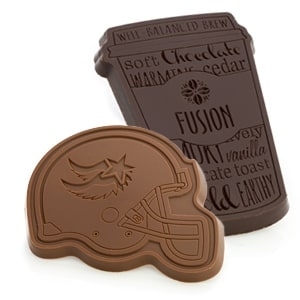 The chocolate bar in the center comes in milk chocolate and is personalized with your logo and message. 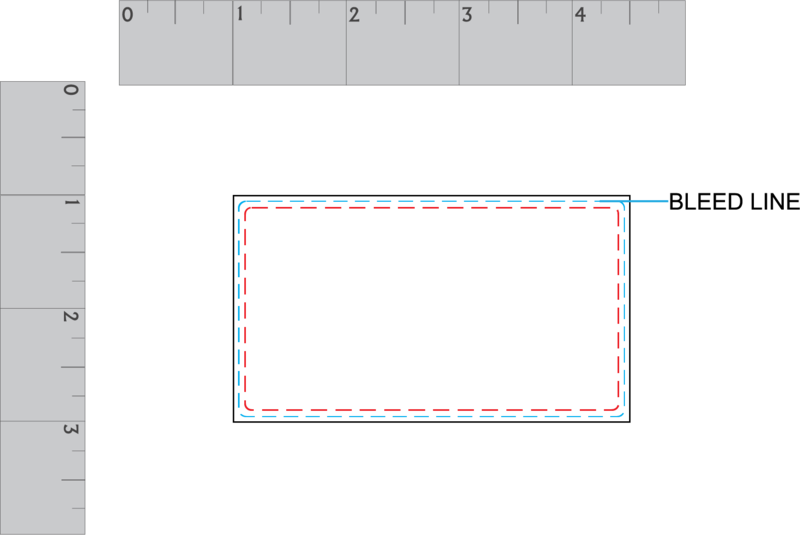 The imprint area is about 1.9 x 3.4 in. 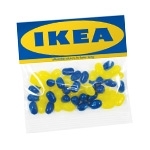 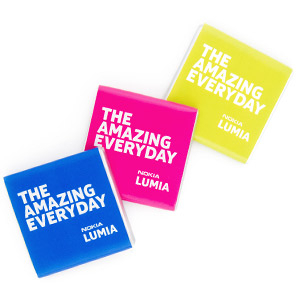 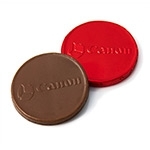 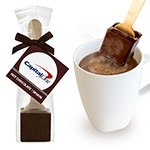 Your logo is printed on a white icing sheet with edible ink in full color. 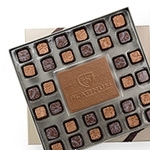 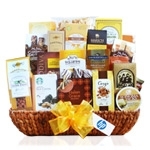 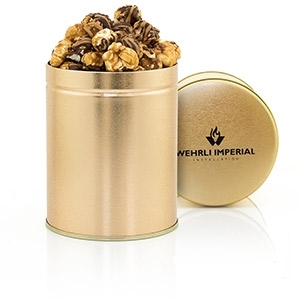 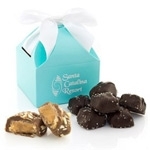 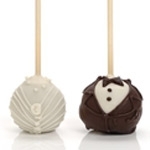 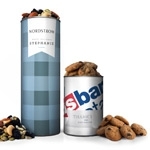 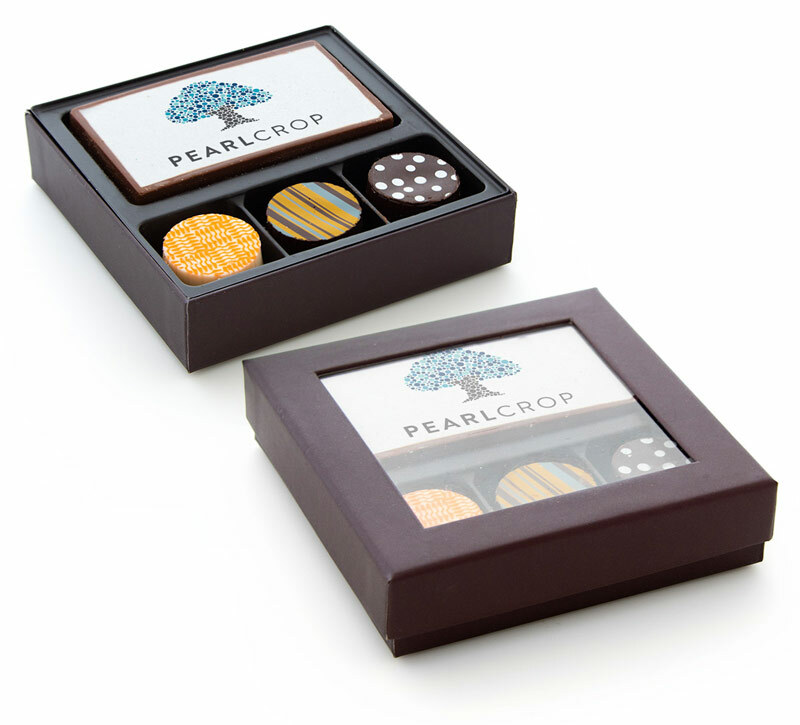 The custom chocolate bar and three truffles are packaged in an elegant, top &bottom gift box. 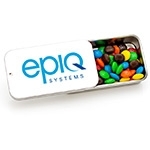 The clear lid allows for a quick peek on this impressive assortment.